Becoming an effective equestrian rider requires great attention to the subtleties of movement, both of the rider and the horse. 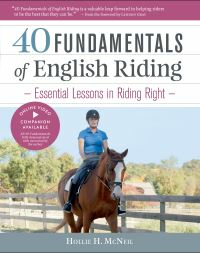 In "40 Fundamentals of English Riding", noted teacher and trainer Hollie H. McNeal offers in-depth instruction on forty basic elements essential to all riders interested in the classic disciplines of dressage, jumping, and eventing. 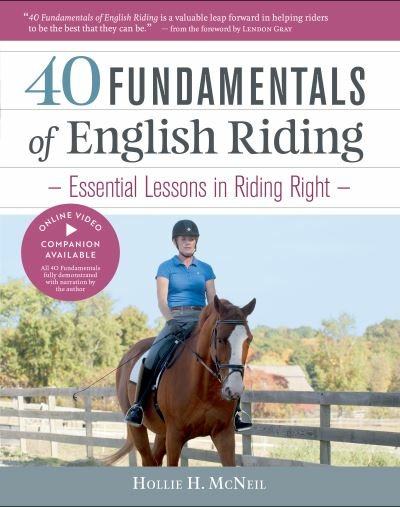 With its combination of succinct text descriptions, up-close photos of key details, and a coordinated DVD showing each lesson performed in real time, "40 Fundamentals of English Riding" is the perfect training companion for equestrians seeking to refine their skills, improve their performance, and strengthen their ability to communicate with horses.